I have already picked out my lime green red Christmas table setting for a nice dinner party and also some beautiful lime green red Christmas ornaments! Be sure to check those out, they would match so nicely! 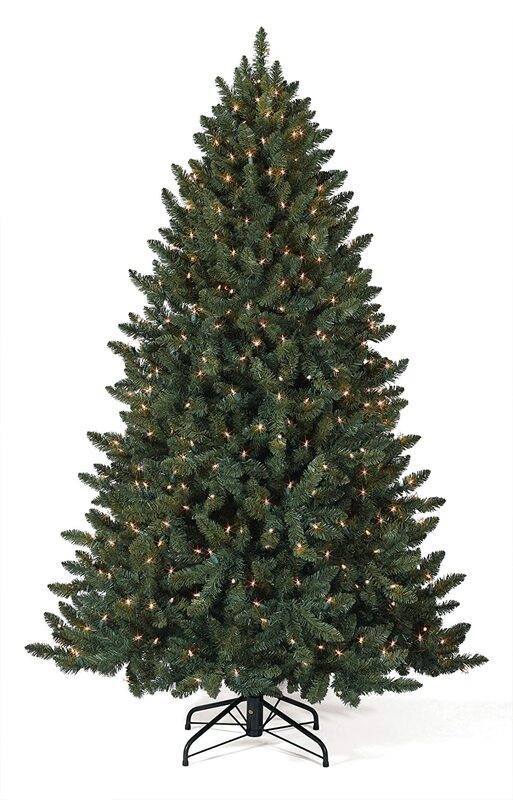 Beginning with the main item of any Christmas decoration is the tree! Oh, how beautiful this tree is! It has lights already strung and it is ready to be decorated! You can choose the height of this tree which comes in 4, 6, 7, 8 and 12 feet! A Christmas tree needs a tree skirt and I found the perfect one! 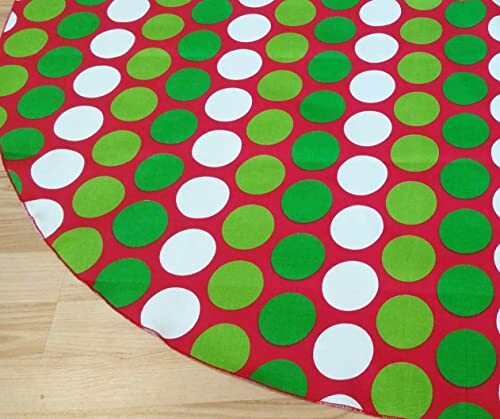 I am in love with this red & lime green Christmas tree skirt with dots! It is handmade in the USA and measures about 55″ in diameter. Since it’s a one layer tree skirt, it won’t take up much space when putting it away after Christmas! I love that! A tree is not fully complete without a matching tree topper. To add some more cuteness to my tree, I chose this adorable elf hat tree topper with candy stripes in lime green and red. To continue with the decorations, we also need garlands! 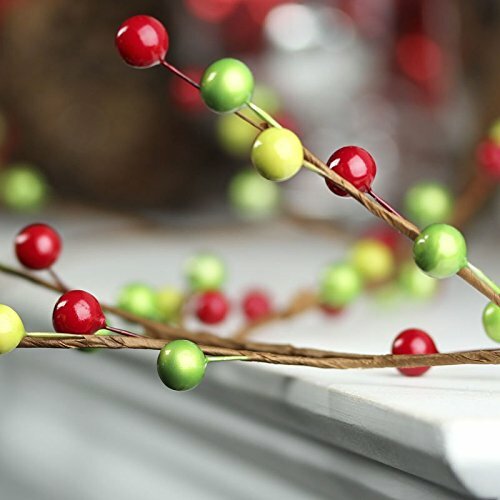 They are great for either wrapping around the tree or in addition with some greenery for dressing the banister with. Another idea is to use garlands on the window by draping them along the curtain rod. 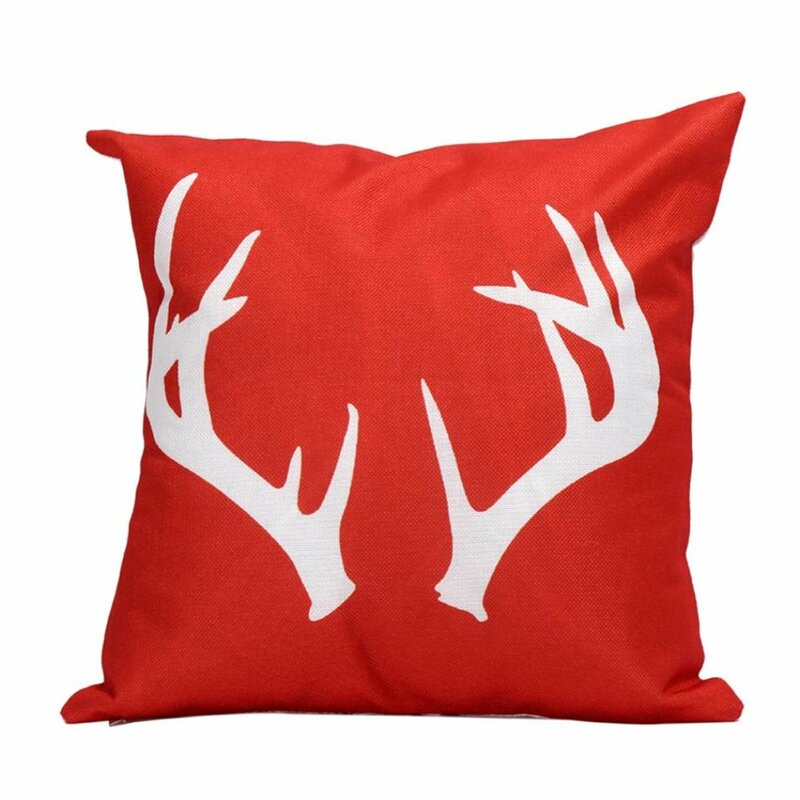 For the sofa this fun red pillow case with white antlers would be perfect! Slip cover a standard sized 18×18 inch throw pillow and put one into each corner and you will have a fantastically decorated room! 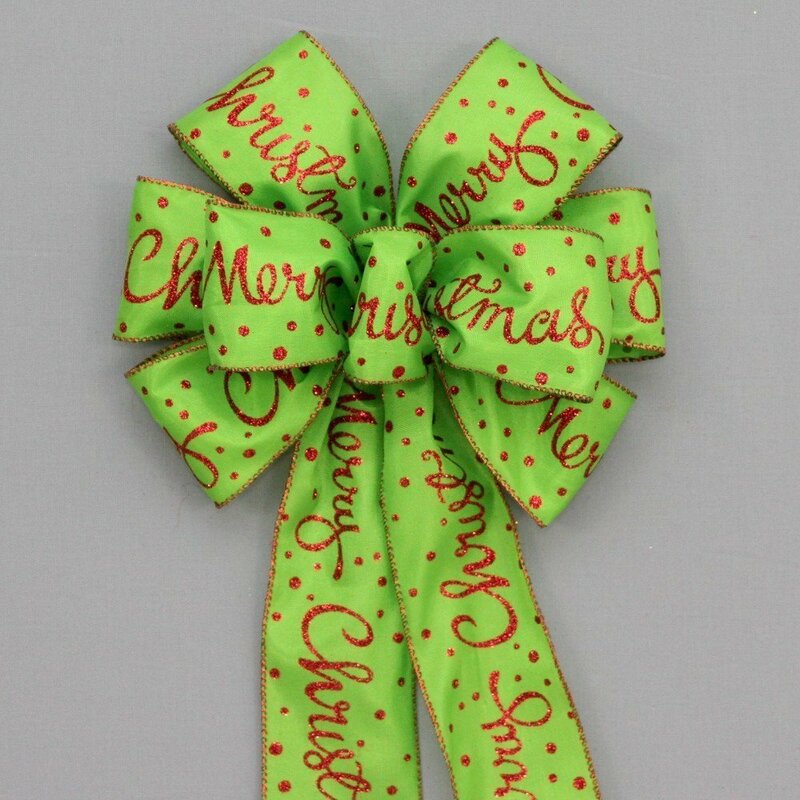 An oversized bow like this pretty lime green and red Christmas bow can be hung on the living room door (if you have one) or on the inside of the windows or even on the back of each chair! You can never have enough bows for a beautiful holiday décor. I hope you enjoyed this post as much as I did writing it! There is really nothing more beautiful than a nicely decorated home for the holidays! Be sure to check out my other posts for great gift ideas!